Break out your tea party set and Mary Poppins movie, my good friend moved to England. Her husband was just stationed there and this will be her new home for a while. Okay, okay, she has two little boys so maybe not a tea party. My friend asked me to make her some postcards that she could mail to her family. I'm so happy with how these turned out. It still means a lot when people ask me to draw their family, thank you! And I had to include a picture with the flowers my little girl picked for me, she is quite the flower arranger. 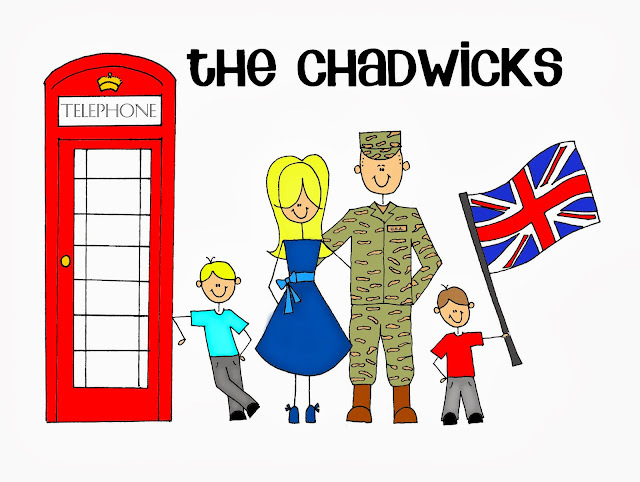 Best of luck to you Chadwick family!! Wishing you lots of sunny days, not getting stuck in too many roundabouts and perhaps seeing a royal person or two. And hoping you all come home with fabulous British accents! A while back I wrote a post about my older brothers, and made a brother printable. I was never super fond of the printable it but I loved the quote. I asked my good friend Dana from MyPoshDesign to help design the wording (subway art.) Isn't she great? Take a look at her work here. 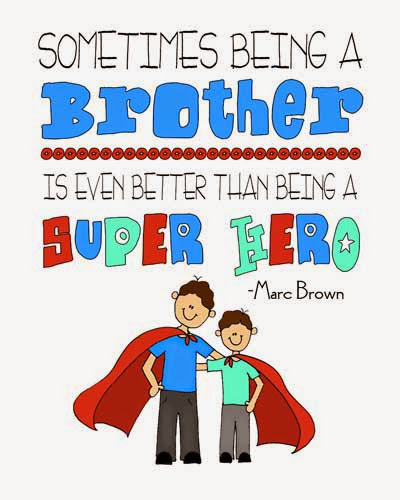 Brothers are pretty awesome, and to prove that I have 3 examples of brothers.